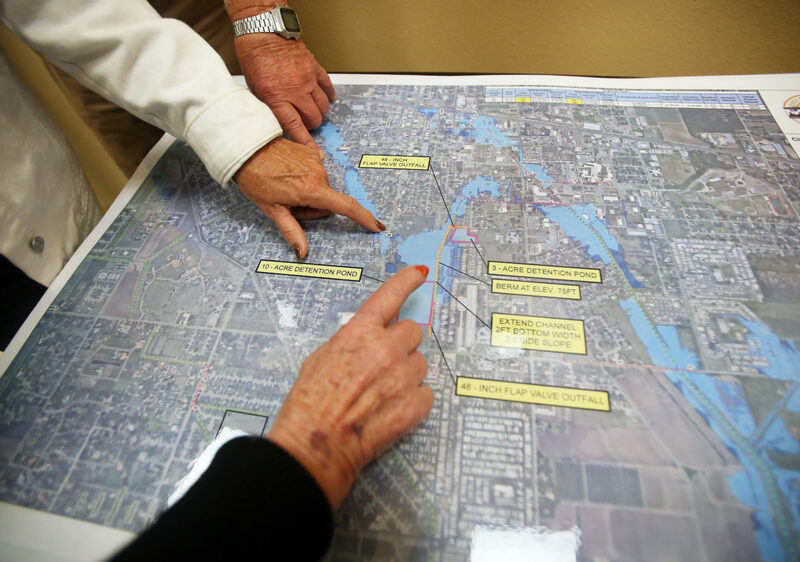 The Weslaco City Commission may soon decide how it will pay for at least a portion of the $89.7 million price tag on eight drainage projects proposed after June’s catastrophic flood. Last week, the Weslaco Drainage Task Force, citizen volunteers appointed by commissioners, revealed the eight drainage projects it identified with the assistance of Halff Associates, the engineering firm contracted by the city to conduct a post-flood assessment of infrastructure. The projects would be broken down into 19 phases, six of which could be completed in the short-term. The $9.9 million price tag for short-term projects includes $500,000 for the installation of flap gates, infrastructure added to drainage ditch pipes that opens to facilitate the flow of large amounts of floodwater or closes to stop water from flowing back into homes and businesses. Task force Chairman Randy Hall, a volunteer, said the city may afford some of the short-term projects with a portion of $4 million the city borrowed in September through certificates of obligation for immediate drainage improvements. Funding to pay for the rest of the projects has yet to be obtained, and the Weslaco City Commission could either ask voters to approve a bond, raising their property tax rate, or approve an ordinance adding a drainage fee to move forward with at least a portion of the remaining $80 million in intermediate- and long-term projects. “My only fear is that, if you put too much money into the improvement of the drainage, we may not be doing other things that we should to plan for our future, economically … we want to very conscious of that as well,” Commissioner Leo Muñoz said during Tuesday’s workshop. Further action on the task force’s eight proposed projects requires approval by the Weslaco City Commission. Immediately following June’s flood, the Weslaco City Commission and city staff received criticism from residents whose homes flooded as a result of up to 18 inches of rain that fell in one day. 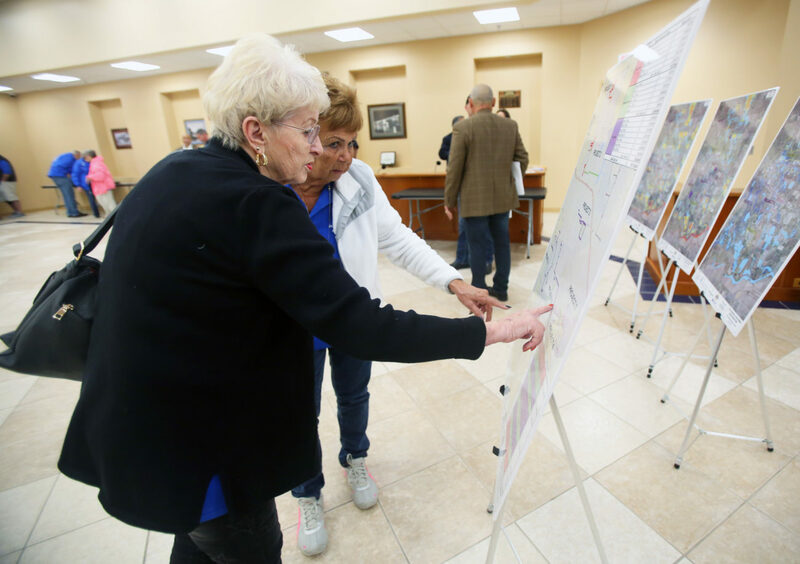 A few dozen residents showed up to the drainage Town Hall held last week, an about 90 percent decrease in attendance from the forum held about three weeks after the June 20 flood, which damaged about 2,500 homes and businesses in Weslaco. 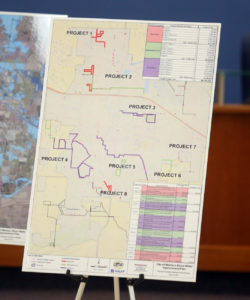 Hall, the task force’s chairman, was among those who called on the Weslaco City Commission and administration in June to improve drainage infrastructure, but his stance has since evolved. “We have learned that if we move water from one area to another, we will cause flooding in that area, and we cannot move flood water from one citizen’s home to another,” he said, noting that his original proposal to add a larger pipe near his property along 18th Street by Harlon Block Park will not fix the flooding issue there. Instead, he said, drainage improvements nearby to retain and detain rainwater would alleviate the possibility of flooding near his home. Completing the projects, however, would not eliminate flooding. A 500-year storm has about a .002 percent chance of occurring in any given year. The identified projects are intended to provide relief from 10 to 50 year storms, which have at least a .10 percent chance of happening in any given year. “It’s really, very heartwarming that we’re being considered, that it will be done,” said Linda Shires, a resident of Leisure World, a mobile home park on the city’s south end. Of the 157 mobile homes at the park, 35 were flooded in June. “Hope you move this along as quickly as possible, in case this ever happens again,” Shires said. The proposed projects could take up to 20 years to complete.